During the exploration of Polynesia, canoes venturing outward from the same center must have been of the same design. Because of the great distances, these must have been sailing canoes, with paddling as auxiliary power used only for brief periods-to launch or land canoes, or keep off a dangerous lee shore. Even with a sufficient number of paddlers working in shifts, the amount of food and water required to sustain energy for paddling for two or three thousand miles would have exceeded the carrying capacity of the canoe. Throughout Eastern Polynesia, the same basic design probably persisted throughout the era of long distance two-way voyaging. Later, ships being as mortal as their makers, this earlier "generic" design vanished as designs evolved which became specialized to each island group. Using the "age-distribution" method, those hull and sail design features found to be most widely distributed throughout "Eastern" or "Marginal" Polynesia when Europeans arrived (including Hawai'i, the Marquesas, Tahiti, the Cook Islands and New Zealand) may be taken to be most ancient because they must have been carried outward from the same center of cultural diffusion. Hulls were deep enough to track well while sailing across the wind or on a close reach into the wind. The round-sided V hulls of Tuamotuan and Tahitian pahi as well as the presence of a rounded V in a drawing of the hull section at the main crossboom of an early 19th century Hawaiian double-hulled sailing canoe are evidence that the windward efficiency of this shape, providing lateral resistance to the water while under sail, was well known to ancient builders. The superior structural strength of compound curves was well known-the weakness of simple curves and flat surfaces was avoided (flat surfaces passing through water also create "drag"), and all curvature below the waterline was convex . The most widely distributed and presumably most ancient sail was a triangle made up of strips of fine matting sewn together and mounted to two spars, one serving as a mast; the other, as a boom, usually more slender and either straight or slightly curved. This survived in the Marquesas, Tuamotus, Cook Islands, and New Zealand, either as an equilateral triangle or one cut narrower with the apex downward. Voyaging between Hawai'i and the South Pacific appears to have ceased several centuries before European arrival. No explanation is found in the traditions, but several may be imagined. The appropriation and development of lands much larger than any they had known in the South Pacific demanded the full attention of ruling chiefs, leaving little time for voyaging. Those who visited their southern homelands may have discovered that political events had made them less than welcome. Moreover, in the murky world of chiefly intrigue which S.M. Kamakau described so well, a ruling chief who went on a long voyage always risked returning to find his lands and wives usurped by another. 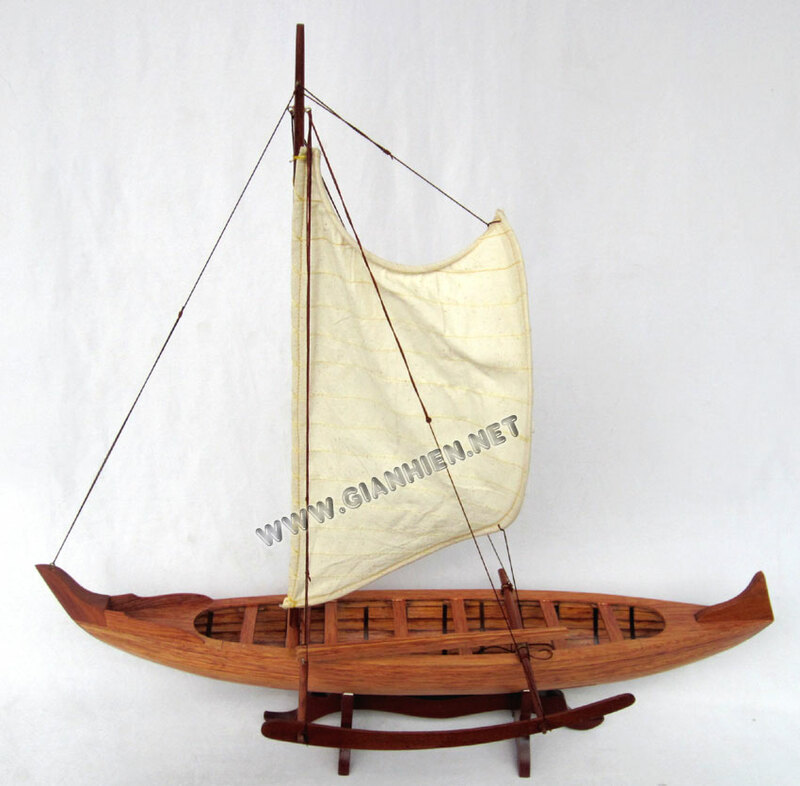 As long distance voyaging declined, the need shifted from voyaging canoes to large canoes for chiefly visits and warfare within the Hawaiian Islands, resulting in changes in canoe design. For these short coastal and inter-island trips, paddling replaced sailing as the dominant power mode. Never certain when hospitality might turn sour, chiefs prudently traveled with bodyguards. On a visit to another chiefdom, they might prepare his food to avoid poisoning. Their numbers were a silent announcement of his status. At a signal, they could launch a raid, fight a skirmish, or conduct a guarded retreat to the canoe landing. And for a chief eager to make a quick getaway regardless of wind conditions, his bodyguards could also be put to work as paddlers. 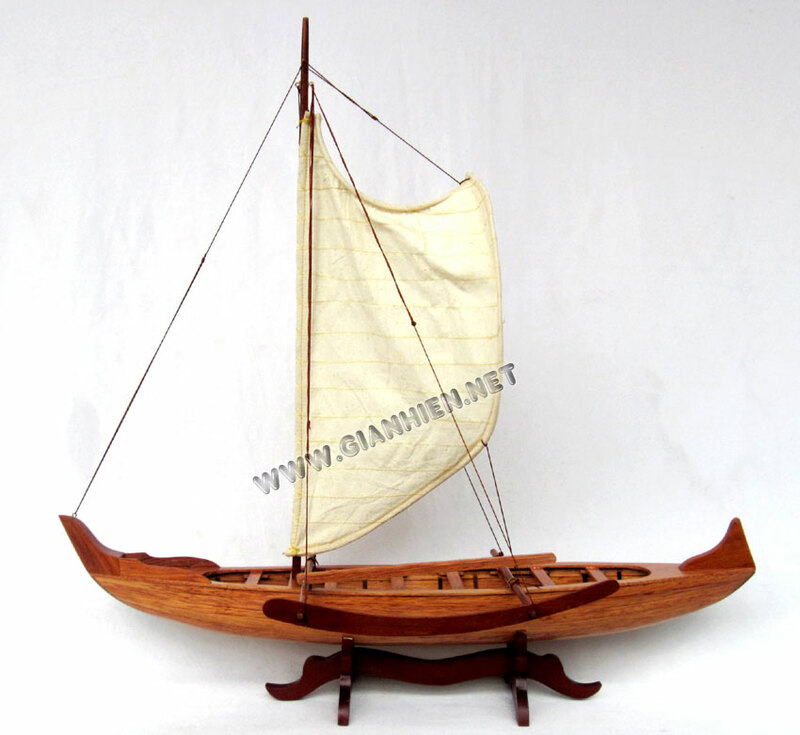 No longer need he wait for a favorable wind, or beat upwind to a destination on long tacks (a voyaging canoe could not sail to upwind as well as a modern yacht equipped with keel and headsails). Paddling provided great freedom of mobility, the ability to move canoes in any direction despite calms or adverse winds. The shift from sailing to a combination of paddling and downwind sailing caused a change in hull design from hulls with sufficient V-shape and depth for tracking against the wind to shallower hulls, round-bottomed aft of the mid-section, which were more maneuverable under paddles or when sailing downwind. Sails, no longer needed for working upwind, evolved to a full-bellied shape, specialized for sailing with the wind. 18th century drawings depict a line (a boom lift) extending from the end of the boom to the top of the mast, which bent the boom to a curve, creating a deep pocket in the sail useful for running downwind. Bending the boom close to the mast created a sagging of the sail which enhanced the "crab claw" appearance; however the sail matting was not cut to a true crab claw shape as it was in Polynesian outliers in the Solomon Islands, but sewn up from strips of matting plaited to a desired curve. One drawing by Webber shows that when the boom lift was released, or eased out, the pocket was reduced sufficiently for the sail to function on a broad reach. Engineer and canoe expert Ted Ralston has suggested that the deep curve in this sail is a safety feature, creating an opening which, as in the true crab claw of the Solomons, vents upwards, spilling excessive thrust. This shape also reduces the sail area toward the ends of the spars, which reduces the load the ends of the spars must carry. 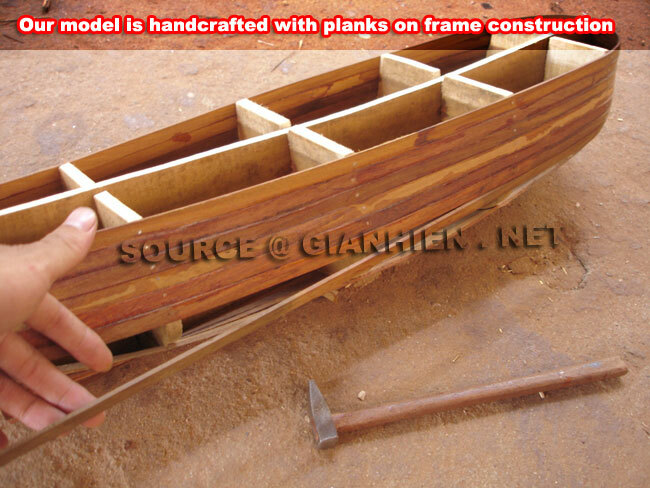 There are several other distinctive features of the classical Hawaiian canoe. The manu, elliptical expansions at the tips of the bow and stern end pieces, may have anciently been carved as symbols or representations of birds or spirit images (manu may mean bird or person), but this form has, like a Brancusi sculpture, been reduced to its simplest abstraction. 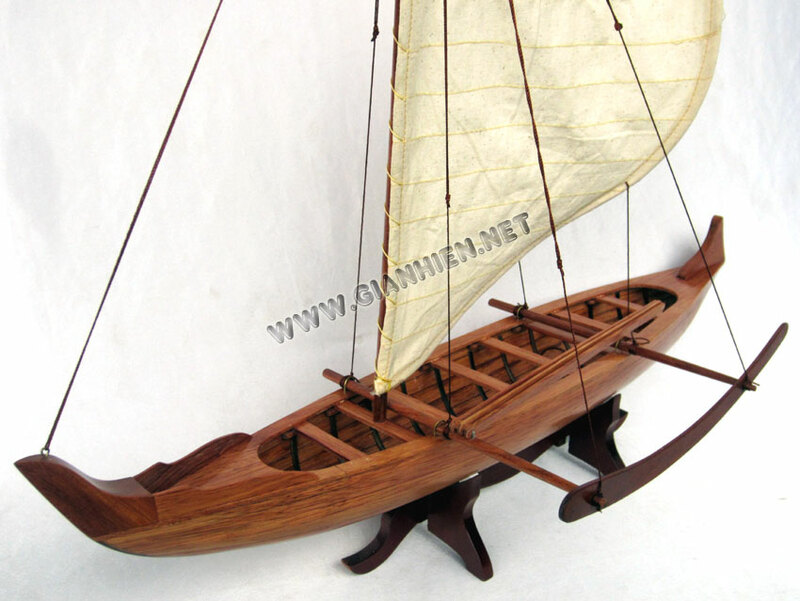 Usually considered ornamental, the writer has observed, while running downwind in the double canoe Nalehia under a strong press of sail in large swells, that the manu are not without function. the manu ihu (forward) seem to keep the bows from driving too easily into the back of a swell. A disastrous "boneyarding" is avoided, and the air space within the hollow formed by the end piece and the hull pops it to the surface. At the stern, the manu hope help split the face of a following wave that might otherwise board the canoe and swamp it. 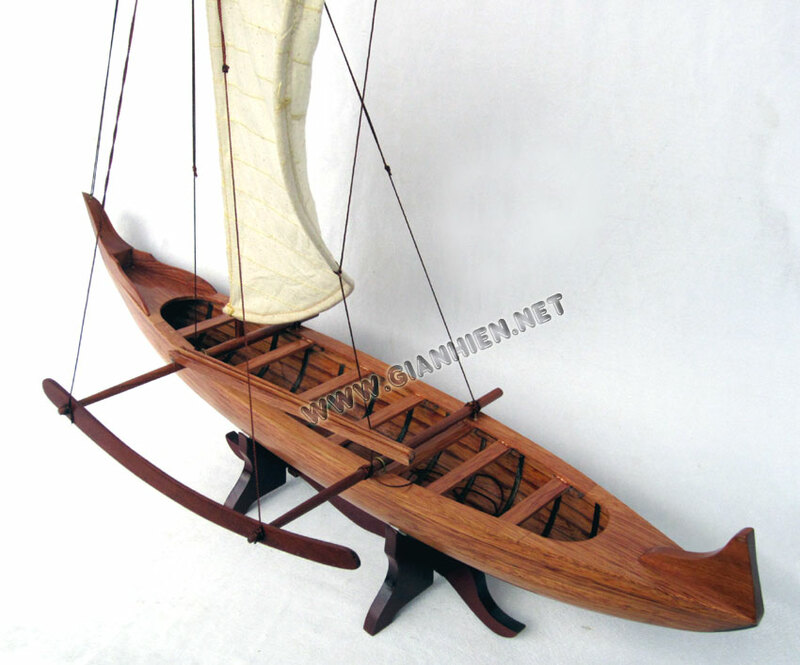 Another unique feature of the Hawaiian double canoe was the invention of the curved crossboom, arched in the center to hold the center deck higher above the water. It's been argued by Tommy Holmes (The Hawaiian Canoe, p. 71) and others that the absence of ornament on Hawaiian canoes (by comparison with South Pacific canoes) may be attributed to the rough Hawaiian waters, an environment in which no carving or inlay that might weaken or burden the canoe could be tolerated. Be that as it may, accounts of Maori canoes in the rough waters off New Zealand, riding "like ducks" under sail or paddles, leave no doubt about their seaworthiness and structural integrity despite the elaborate carving of their end pieces and gunwales. Quite possibly, esthetics in Hawai'i simply took a different turn, inspired by some long forgotten designer who saw clean, flowing simple lines as the most beautiful as well as functional. Form follows function, but, as architects and automobile designers know very well, form is also shaped by esthetics. Perhaps the only distinctive feature of Hawaiian canoes that may be considered non-functional (depending on how you think about ancestral spirits) is the slight projection of the hull from under the manu at the stern, called the momoa. One version of an ancient saga tells us that as a canoe was embarking on a voyage to Hawai'i, a spirit announced his desire to go along. Informed by the chief that there was no room, the spirit leaped from shore to a small projection which he noticed at the stern, and rode there. That projection has become traditional in Hawaiian canoes, some say as a place where an invisible but benevolent ancestral spirit ('aumakua) can ride. These were the canoes of Hawaiian chiefs who met Cook and the early European traders in the late 18th century. Europeans marveled at the workmanship accomplished with simple tools of stone and bone. Chiefs were not above showing off; when the Cook expedition arrived off Maui in 1778, King Kahekili came out in a canoe in which all aboard were dressed in feather capes, and "singing." Paddlers of a chief's canoe were not a scratch crew, but highly trained. As Vancouver came to anchor at Kealakekua Bay, Kona, in 1793, Kamehameha came out to formally greet him with eleven large canoes "...with great order. 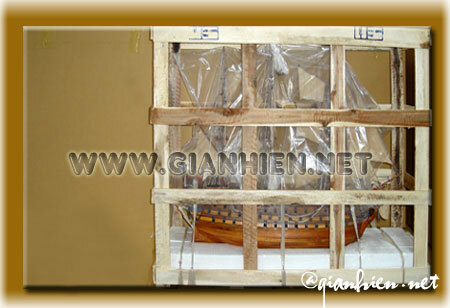 The largest canoe being in the angular point, was rowed by eighteen paddles on each side." The king wore "...the most elegant feathered cloak I had yet seen, composed principally of beautiful, bright yellow feathers... On his head he wore a very handsome helmet, and made altogether a very magnificent appearance. His canoe was advanced a little forward in the procession, to the actions of which the other ten strictly attended, keeping the most exact and regular time with their paddles, and inclining to the right or left agreeably to the directions of the king, who conducted the whole business with a degree of adroitness and uniformity, that manifested a knowledge of such movements and maneuvre far beyond what could reasonably have been expected. In this manner he paraded around the vessels, with a slow and solemn motion. ... He now ordered the ten canoes to draw up in a line under our stern, whilst, with the utmost exertions of his paddlers, he rowed up along the starboard side of the ship; and though the canoe was going at a very great rate, she was in an instant stopped, with that part of the canoe where his majesty was standing immediately opposite the gangway." 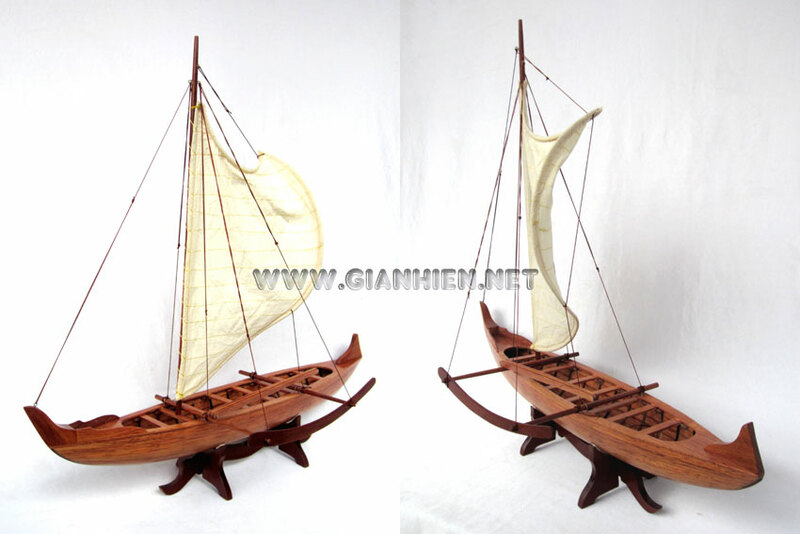 In the early 1790s the watch aboard a foreign ship sailing off O'ahu saw a vessel approaching which, by the cut of its sails, appeared to be European; but as it drew near and passed by it was seen to be a Hawaiian canoe with sails cut to European shape. This was the fore-and-aft spritsail. It was a simple modification, changing the ancient triangular sail to a four-sided shape. The former boom was now a slender sprit stretching diagonally upward from the base of the mast to support the peak of the sail. Also from the base of the mast the foot of the sail ran horizontally aft to the clew (bottom trailing edge) where the sheet (controlling line) connected to it. In larger canoes the foot was laced to a boom. This rig quickly became the standard for most Hawaiian sailing canoes. Enduring well into the 20th century, it became an authentic Hawaiian canoe tradition. On some of the largest double canoes a sail of about the same shape was used, not with a sprit, but gaff-rigged, the head (top of the sail) laced to a spar which was raised or lowered by halyards, and the entire foot of the sail laced to a boom. Once again, sail had become the primary power mode, and again, canoes evolved to meet new demands. Kamehameha's drive to bring all the islands under the rule of Hawai'i Island required much more than the hit and run raids of earlier disputes. Keeping armies in the field required great numbers of huge canoes, not only for invasion but also for keeping the army supplied, which meant canoes capable of returning to Hawai'i Island, sailed (not paddled) short-handed and against the prevailing wind, for supplies and reinforcements. The peleleu class war canoes were invented for the purpose. These were sailing vessels with deep hulls, some armed with swivel guns, carrying fore-and-aft sail rigs, either as spritsails or gaff-rigged and capable of sailing upwind. Another dimension presented itself when Vancouver had his carpenters lay up a schooner, Brittannia, at Kealakekua Bay, South Kona, as a parting gift to Kamehameha in 1794. 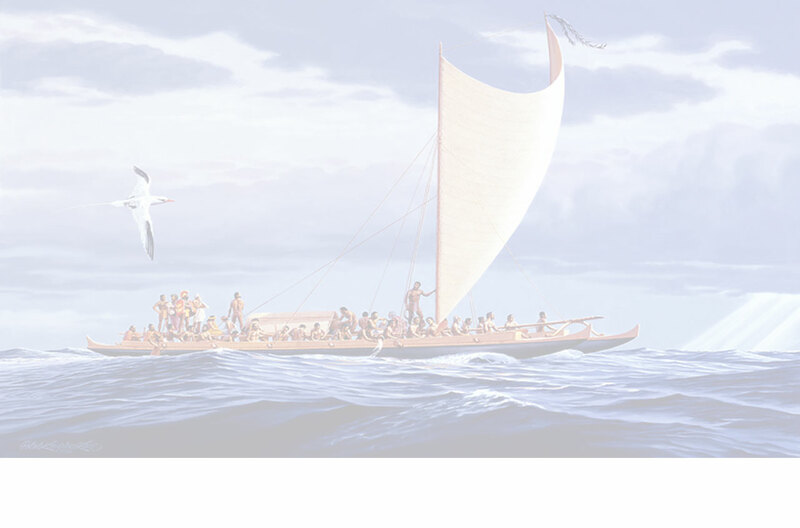 Kamehameha apprenticed his canoemakers to the work, they learned quickly, completed the ship themselves under John Young's guidance, and set about building more. By 1802, visitor John Turnbull could write that Kamehameha "owned twenty vessels ranging in size from twenty five to seventy tons" (Turnbull, 1813). Beyond Kamehameha's needs there were other changes that brought Hawaiians back to sail as their primary power mode. Under Kamehameha's laws erasing old boundaries and prohibiting oppression, murder, and theft, Hawaiians could travel in safety. Chiefs who went visiting no longer required bodyguards who could double as paddlers. Moreover, where once a chief could whistle up any number of strong paddlers who were eager for adventure, if only to check out the girls on another island, the impact of introduced diseases was now devastating the population. The worst was yet to come, but the population was already in free fall. Before Europeans arrived, the exchange of goods and services had been confined to a complicated system of reciprocal gifting. After the concept of trade for profit was introduced and unification had erased barriers to travel, an expanding market economy and a suddenly mobile population presented new demands for the movement of products and passengers. Although schooners and sloops carried most of the traffic, much coastal and inter-island shipping during the 19th century was also handled by sailing canoes. During the 1843 siege of the government by British Lord George Paulet, Kamehameha III was whisked by canoe from Maui to Waikiki and back in order to sign protest letters to the U.S. and Britain. In 1856, the Pacific Commercial Advertiser reported that Hawaiians were still using sailing canoes for inter-island travel.